Economy Candy. Is this the best candy store in New York? How would she describe that feeling to a friend? What one word sums it up? Whoah, indeed. There’s nothing like seeing New York through a child’s eyes. From the cityscape of Spiderman to the spaghetti of yellow cabs, from Macy’s and massive portion sizes to screaming sirens and rats scurrying across subway tracks, the wonder and freshness makes even serial visitors feel like first-timers. Visiting New York with kids (we have two - Sam is 7), we went big on cinematic sights, with Brooklyn Bridge (right) top of the list. The wind cut like a barber’s blade, but we were ready — tucked up in hats, gloves and thermals. Walking from the Manhattan side in early evening, we were midway across by sunset and caught the full, night-time glory from Fulton Ferry Landing. Bring headphones and line up your favourite NY song for a shared listen during the walk. It’s a lifetime memory in the making. Where: Start at Brooklyn Bridge/City Hall subway on the Manhattan side. More: The New York Bucket List: 25 things to do in the Big Apple before you die! Afficionados argue between Lombardi’s and Lucali’s, between Joe’s and John’s, but our pie-in-the-sky award goes to Don Antonio. Forget Junior’s, the over-hyped diner nearby, and book a table for a piece of Italian-America within shouting distance of Times Square. Service is sassy and sincere (with lots of Italian spoken behind the scenes), and the pizzas are shut-up-and-eat gorgeous, mixing slightly chewy Neopolitan-style bases with puffy rims and mozzarella as good as I’ve scoffed in Grimaldi’s (below). The Diavola ($16/€13, with hot sopressata sausage) is my tip, while my wife, who is coeliac, hails “the best gluten-free pizza I have ever eaten”. The kids hoovered up a margherita and left no change from a dessert portion of deep-fried bread sticks with Nutella. We went twice. Where: 309 W 50th (at 8th). Insider Tip: If Brooklyn Bridge is the rainbow, Grimaldi’s (above, grimaldis-pizza.com) is the pot of gold. Prepare to queue, and note that it doesn’t do slices. 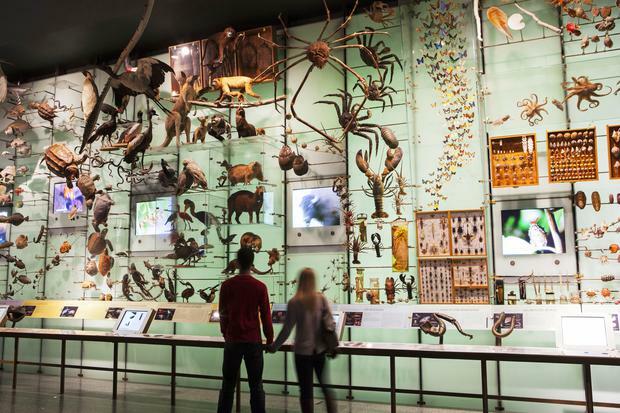 We’re big fans of the Night at the Museum movies, so the American Museum of Natural History was a no-brainer. It’s a gloriously old-school institution, and while displays of stuffed animals didn’t really cut it with our 21st-century explorers, there was great fun threading through the rooms in search of Capuchin monkeys, an Easter Island head (fake, as it transpires) and stunning T-Rex skeletons. You won’t be able to do it all (the museum sprawls over an entire block), so have a plan and make sure it includes a show in the Hayden Planetarium. Entering this 26.5m-diameter sphere is like boarding a spaceship, and we reclined our seats for an immersion in the Dark Universe, narrated by golden-voiced astrophysicist Neil deGrasse Tyson. If you’re looking for Teddy Roosevelt, by the way, you’ll find him twice — once in the shape of a muscle-strapped statue outside, and once downstairs, where a more approachable brass statue is modelled on Robin Williams’ movie character. Where: Central Park West (between W77/78). 81st St is the closest subway. Web: amnh.org; $23/€18.50 for adults and $13/€10.50 for kids. Insider tip: The museum does sleepovers. Yes, sleepovers. They cost from $145/€117pp (details online). It must be done. 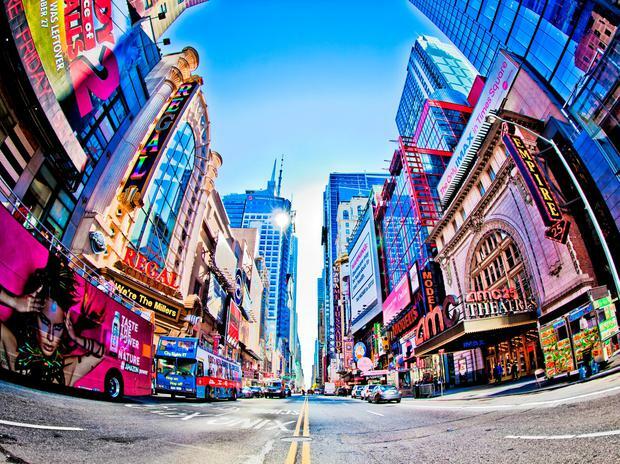 Quash any adult impulses to see the ‘real’ New York and dive straight into the super-sized sweetshop of a cityscape that is Times Square. Abandon yourself to the flashing screens, the superheroes, the hustlers playing quick-fire chess for cash, the iconic ads for Broadway shows. Anything goes here — though it’s far less edgy and more family-friendly than the Times Square of old. New attractions include an NFL Experience and National Geographic Encounter: Ocean Odyssey, while M&Ms World offers cascading tubes of every coloured sweet under the sun (watch out — at $7.95/lb, the prices shoot up fast). “It’s definitely different to Dublin,” is Sam’s take. Now, selfie with Batman, anyone? Insider Tip: Broadway show? TKTS (tdf.org) opens mornings and afternoons with discounted day-of-show tickets. One World Trade Center is the tallest ‘scraper in New York, but you can’t see it from itself. Instead, go old-school with the Empire State Building. Get there as close to 8am as possible (after 10am, the lines can be torture). The Art Deco lobby with its enchanting lines and marble (bonus points if you’ve just watched Elf), the burgundy-uniformed staff, the ear-popping elevator ride and, finally, the 86th floor viewing deck — all encourage giddiness. On a clear day, views stretch from Downtown and the Statue of Liberty to the Bronx. 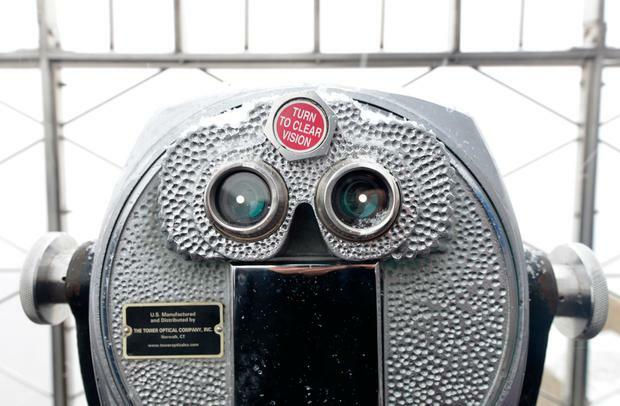 Ours was cloudy, but we also got to scoop snow off the vintage viewfinders (below)... another priceless ‘I’m in NYC’ moment. Where: 5th Ave (between W 33/34). Insider tip: Use a CityPASS ticket and you can return twice on the same day (viewing decks stay open ’til 2am). There’s a time and a place for diets, and it is not New York. From burgers at Shake Shack to pasta at Eataly and pizza just about anywhere, the Big Apple is basically one enormous buffet. For pancakes, we struck gold with breakfast at Friedman’s near Herald Square. Hidden behind a non-descript black door, this is a modern Manhattan diner with a difference. “We love you and we don’t want you to get sick,” the menu states, adding that “everything is gluten-free or can be made gluten-free” — music to my coeliac wife’s ears. We plugged for a stack of pancakes ($16/€13) slathered in blueberries and maple syrup (“What are you, Buddy the Elf?” is our line of the meal) and fried chicken waffles ($24/€19), while nodding to our arteries with a nominal avocado on toast ($14/€11). The bill rises with the calories, but it’s a rockin’ good start to the day. Insider tip: Get there before 8.30am (wait times stack up). Skating isn’t just for Christmas, you know. 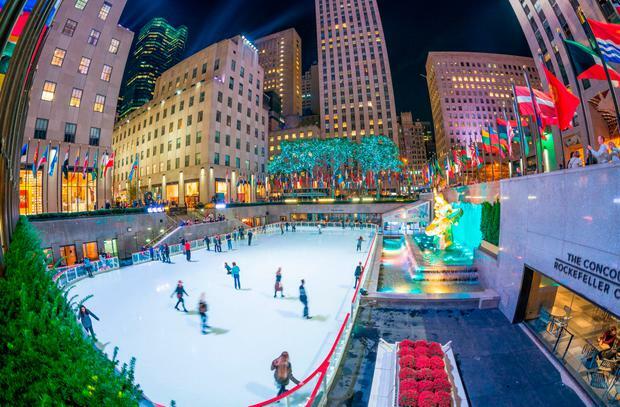 The Rink at Rockefeller Center stays open right into April, offering 90-minute sessions (from $25/€20 and $11/€9 off-peak) and skate rental ($12/€10) beneath the storied skyscraper. Perfect for New York with kids. For a splurge, book the VIP igloo ($60/€48pp; open to late Feb.), which allows you to set up in a warm little tent next to the rink. Skate hire, S’mores hot chocolate and cookies are all included, and it’s somewhere safe to leave your shoes and backpacks. Afterwards, take in the views with the Rockefeller Center’s ‘Top of the Rock’ experience ($34/€27 for adults) — reached via an elevator with a see-through ceiling, giving full view of the shaft as you shoot towards the 67th floor. Insider tip: A budget skating option, with a beautiful setting, is the Wollman Rink in Central Park. Mon-Thurs rates from $12/€10 (skate hire is $9). 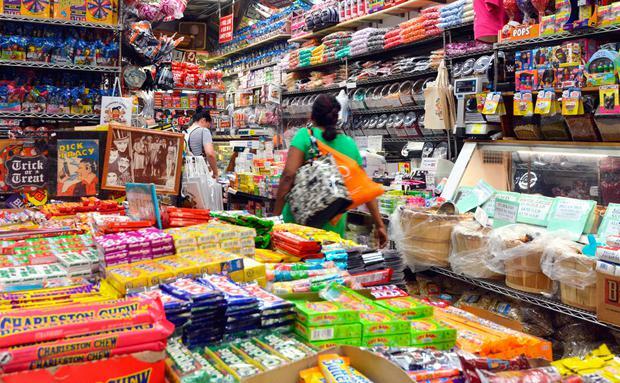 Everything is bigger in the Big Apple, and that goes double for candy stores. M&Ms World and Dylan’s Candy Store (owned by Dylan Lauren, daughter of fashion-designer Ralph) tick the glossy boxes, but head to the East Village for a pure, mom-and-pop sugar rush. Economy Candy began life as a street cart and is today packed with everything from Charlston Chews to Cupcake Gumballs, Warheads, Oh Henry’s and a bazillion kinds of jellybean. Our kids grabbed a blue basket each and headed off into nirvana (heavily edited before the till, needless to say), while I revelled in a nostalgia fix powered by Candy Cigarettes and Back to the Future bubble gum trading cards. It’s a brilliant little tonic to NY’s big brands. Insider tip: Nab a New York bagel around the corner at Davidovich Bakery (Essex Street; davidovichnyc.com). Park any dreams of boutique-browsing in SoHo, and make your way directly to Century 21 (there are several locations, but the one next to the 9/11 Memorial and Freedom Tower will give you a chance to see those too). It’s basically a department store specialising in cut-price designer brands — not everyone’s cup of tea, but teens will be delira’, and you can have a wee fashion show in the fitting rooms before culling the contents of the basket outside. Nordstromm, Macy’s and the Lego Store on West 23rd and 5th are other options, while the outlet village at Woodbury Common is around one to 1.5 hours by bus from Port Authority ($40/€32). Where: Downtown (Cortland & Church). Insider tip: Even shopping haters will dig a whizz around a big American supermarket or drugstore crammed full of stuff you can’t find at home. Goldfish crackers or US whitening strips, anyone? 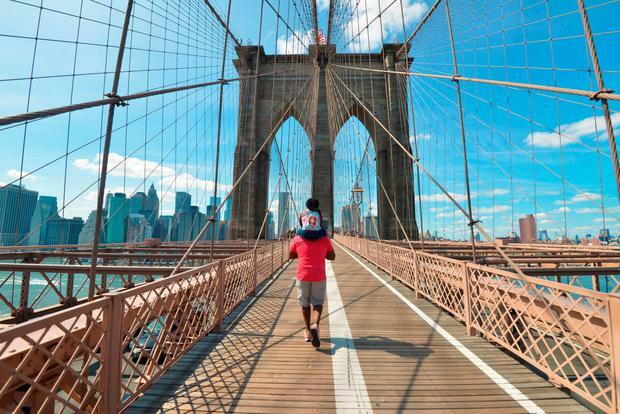 We started our trip to New York with kids at Brooklyn Bridge, so that’s where we’ll finish. 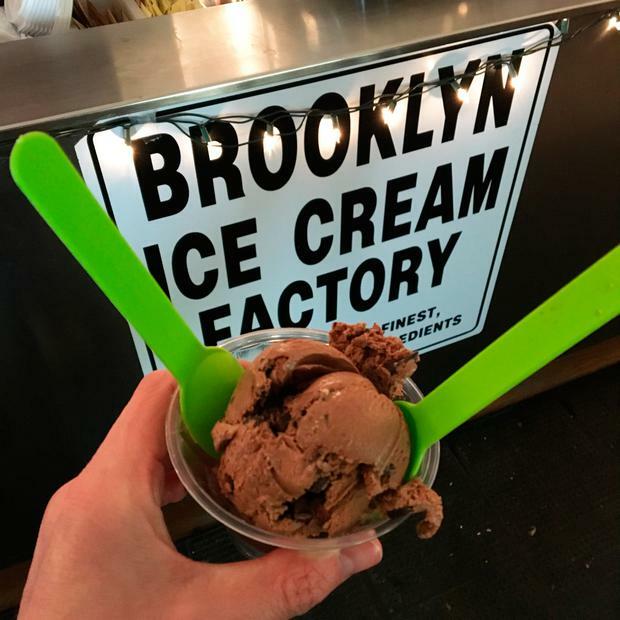 Stumping up $5/€4 for a scoop at the Brooklyn Ice-Cream Factory reminds me of the five-dollar-shake scene in Pulp Fiction, but it is a pretty good scoop. We plug for ‘Chocolate Chocolate Chunk’ (my requests for ‘Peaches and Cream’ are flatly rejected) — a tub of all-natural yumminess crammed with extra wedges of choc “just because we can”. The shop is a converted 1920s fireboat house (cash only, but there’s an ATM inside), and it comes with the best city views on planet Earth. Insider tip: Like that? Try Ice & Vice (221 E Broadway ) for experimental flavours, or the Big Gay Ice-Cream Shop (125 East 7th) for its Salty Pimp or Rocky Roadhouse... an East Village beast loaded with toasted almonds and mini-marshmallows. 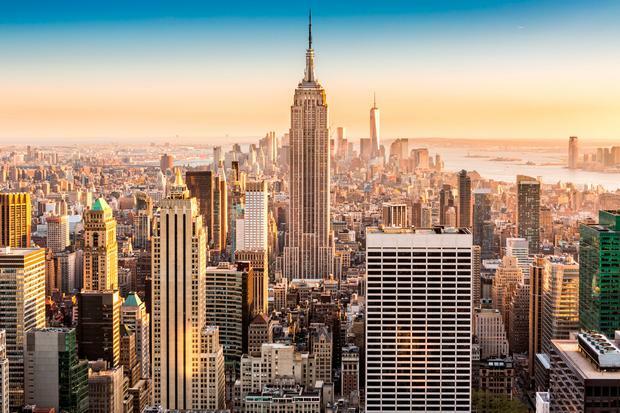 Pól travelled to NYC as a guest of American Holidays (americanholidays.com), which has three-night family breaks based on four sharing from €546pp in May. The Metro Hotel (hotelmetronyc.com) has family rooms near Macy’s from $260/€210 (w/tax). See nycgo.com for more. DON’T underestimate the journey. NYC gives everyone an adrenaline boost, but the early rise, seven-hour flight and five-hour time difference will destroy the entire family in the evenings. Plan and pace yourselves accordingly. DO get a Metro Card. You can top up as you go, with a family using the same card (swipe it each time someone passes through the stile), or seven-day unlimited ride cards cost $36/€29. DON’T forget comfy shoes. You will walk like a demon in New York — a change of footwear feels like stepping into clouds. DO brace yourselves for a financial hit. You may bag a cheap package, but there’s no saving money in this city. 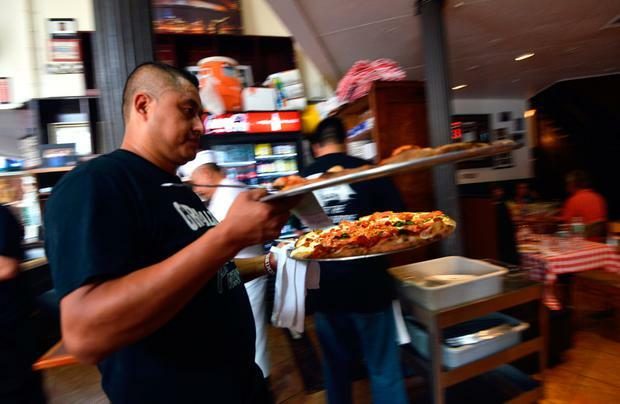 High food prices, 15-20pc tips and a 9pc sales tax are just the start. DON’T forget to let your bank know your travel plans. You don’t want credit or debit cards blocked when you use them overseas. DO wear layers. In winter, Manhattan can be Baltic. Once you step into a store or restaurant, however, air-con ratchets up the temperatures. Be prepared to switch between the two. DON’T forget to watch movies, before you go and after you get back. Elf, Home Alone 2, Night at the Museum, Spiderman… after visiting New York with kids, it’s ridiculously exciting to see places you’ve actually been. DO shop smart. Macy’s gives a 10pc discount on production of an overseas passport, and an extra bag/case is handy to bring stuff home (mind the customs allowances, though). DON’T forget a CityPASS (citypass.com/new-york; €103/€83) if you plan on visiting several of the Big Apple’s biggest attractions. It offers a 42pc discount on six hotspots, including the Empire State Building and USS Intrepid. Orla Neligan Paris. Was there ever a place less suited to the relentless good cheer and sense-rattling spectacle of Disney? Tara McGinn On market day in Pont-Aven there are decisions to be made. Grilled calamari and lemonade from the lady at the stall near the entrance? A box of delicious-smelling fried potato from the van opposite? Or what about the pastries? Finding Cyprus: Mediterranean magic, but is it worth the five-hour flight?